Woodwork By David J Law - Carpenter based in Dudley, West Midlands. Established 1975. I am apprenticeship served, City and Guilds qualified and have a wealth of experience gained from over forty years of working within the various fields of woodwork, this is supported by my extensive portfolio. Woodwork By David J Law undertakes bespoke woodwork projects in the fields of: Joinery, Shopfittng, Exhibition, Kitchens, Bedrooms, Bathrooms, Studies and Furniture. I also undertake property renovation, refurbishment and maintenance. From my fully equipped Dudley based joinery/workshop I manufacture and install projects nationwide. Over the years I have undertaken projects in most English counties, Wales, France and Spain. These projects have included churches, listed buildings, office suites, libraries, factories, shops, department stores, retail parks, sports stadiums, exhibition venues, foreign embassies, schools/colleges, social/night clubs, restaurants/bistro's and public houses, as well as numerous family homes. Amongst my clientele have been personalities from the world of music, film, television and sport, plus aristocracy, foreign royals and diplomats. Approximately 95% of my work is bespoke, therefore as I actually make everything myself (with the exception of wood turnings and some ready made mouldings) it is only pictures of these projects that you will ever see displayed on my sites and advertising. But very occasionally I will undertake projects supplying and fitting quality pre-made kitchens, bedrooms and joinery products. As well as working with contemporary designs I also like to keep one foot firmly planted in the past, this allows me to help maintain and preserve traditional methods and values. I believe that the art of creating something, whether it is a contemporary bookcase or a traditional box sash window for example, is that it should relate to its period and/or surroundings and not look out of place, therefore it blends in and gives the impression that it has always been there. This is certainly the case with any preservation work carried out on listed properties and in conservation areas. I have good regional knowledge from working nationwide and from having had previous workshops based in London x 2, Sheffield and Wolverhampton. My current workshop in Dudley is perfectly positioned in a central location enabling me to easily access and serve the rest of the UK via the nearby M5 and M6 motorways and their links to adjoining motorways and major road networks. As a Londoner I continue to advertise in London and have maintained my contact telephone number which is diverted directly to me. My travels have also introduced me to many local tradesmen in these different locations such as plumbers and electricians as well as many suppliers. I offer free no obligation visits to meet potential clients to discuss their requirements and ideas, but if preferred this can also be done via email if sufficient information is provided, or by a workshop visit. But although workshop visits are welcomed they are by appointment only as opening hours are subject to change during installations. I am always happy to give advice and offer a warm friendly service, enhanced by my unblemished reputation for quality, reliability, trust and value. Not only am I a member of the Guild of Master Craftsmen but also the Woodland Trust, this is my small way of giving something back by helping to fund the sustainability and management of our woods and forests for future generations. And for your peace of mind I have also been checked by the Disclosure and Barring Service. My certification i.e. qualifications, memberships, DBS and insurance documents are always presented to potential clients on introduction and are also available whenever requested. 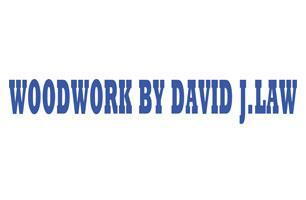 For a more comprehensive insight into Woodwork By David J Law please refer to my website, particularly my history page.